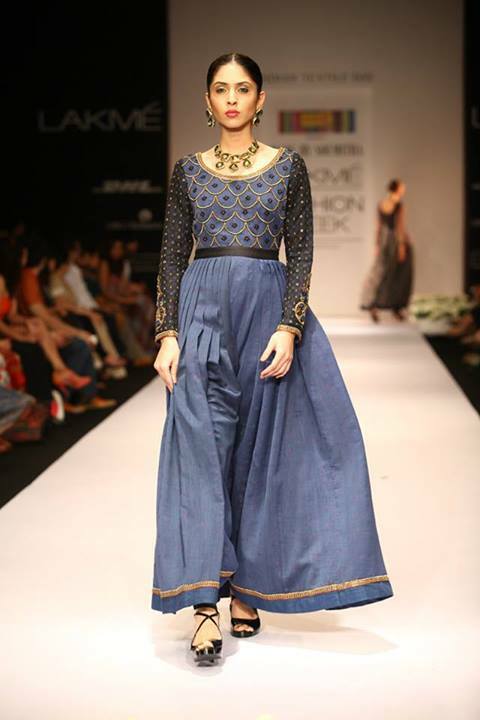 A dress from the collection of Shruti Sancheti. She wore a nath (nose ring) and a typical Maharashtrian necklace. 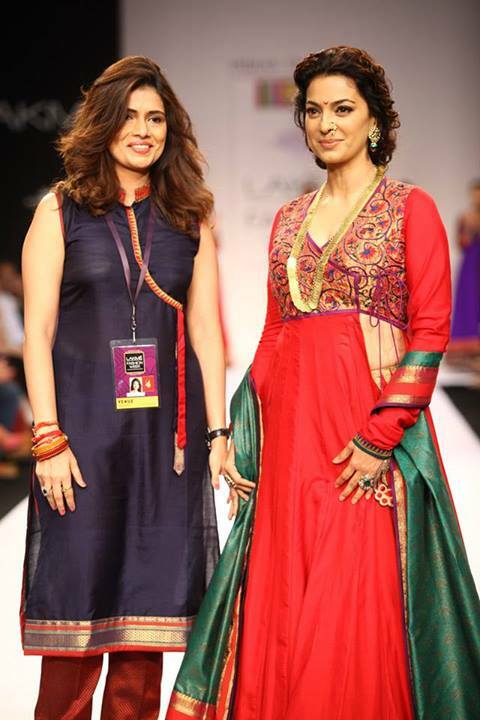 Juhi glided down the ramp in an elegant maroon floor length Anarkali dress. 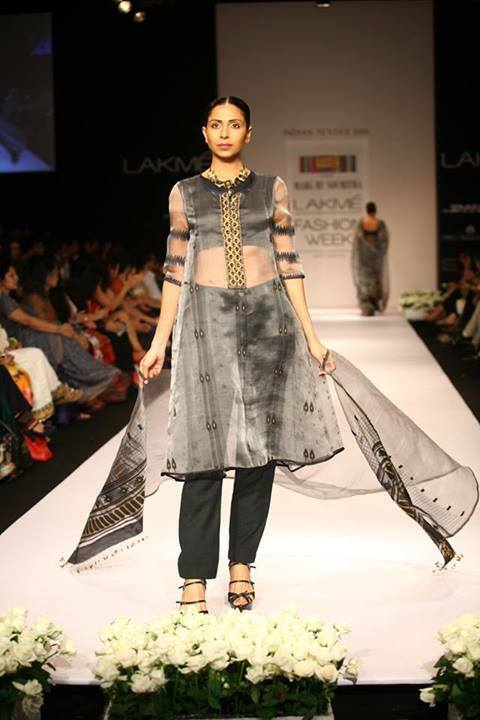 Actress Juhi Chawla dazzled on ramp in a Marathi avatar for designer Shruti Sancheti on Day 4 of Lakme Fashion Week 2013.